Rail, Cable, Track Accessory in White Finish Low voltage white track / rail light. 0.94 in x 2.25 in. 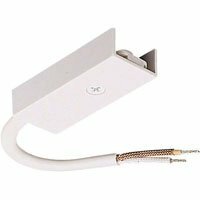 Juno Lighting Group Rail, Cable, Track Accessory in White - Aluminum Lighting - 0.94 in X 2.25 In.